“The trick is to just throw yourself in, don’t think about it!” This was the teasing advice a bobbing head gave the rest of us who were edging our way into the icy waters of Pantano de San Juan. 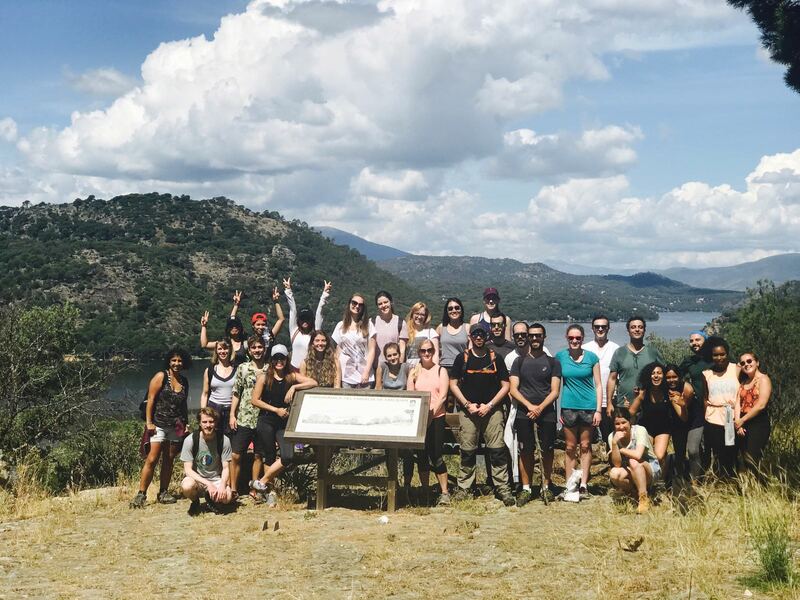 While this guidance may have been needed by those venturing in for a dip, there was no need for it to be said with regards to the day’s event as a whole as Madrid for Refugees, along with a group of energised hikers, continued to make a splash with another Benefit Hike and Yoga session the last Sunday of May. 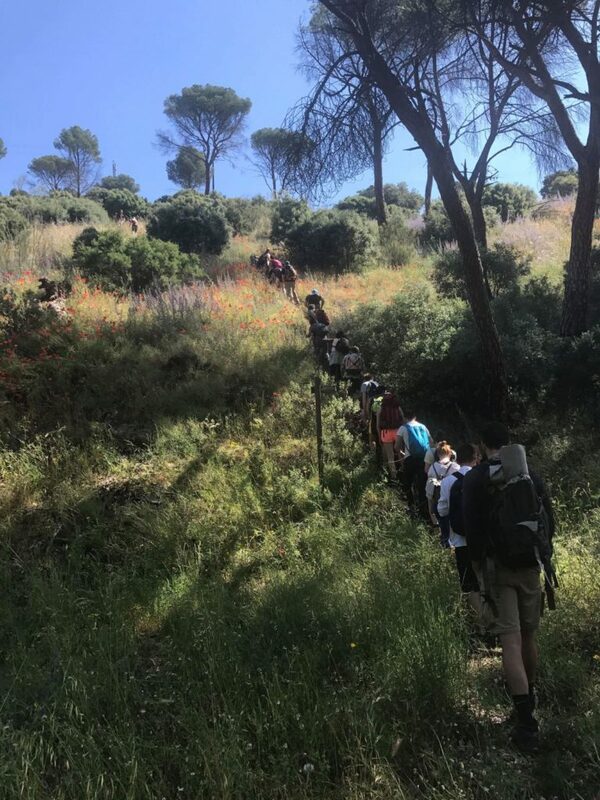 A total of €320 was raised as 26 hikers representing nine different nationalities appeared fresh-faced and raring to go early on Sunday morning. The money will go directly towards MFR’s work helping to improve the lives of refugees in Spain. At this particular moment, the funds will be vital in securing our new home at El Gabinete from which we will be able to better assist refugee’s social and labour integration. Moreover, this event lived up to the effortlessly social occasion it always aspires to be as lively chatter kept pace with every step along the way. Five trusted guides led us on a 10km route skirting the edges of the magnificent Pantano de San Juan, more commonly known as Madrid’s beach. 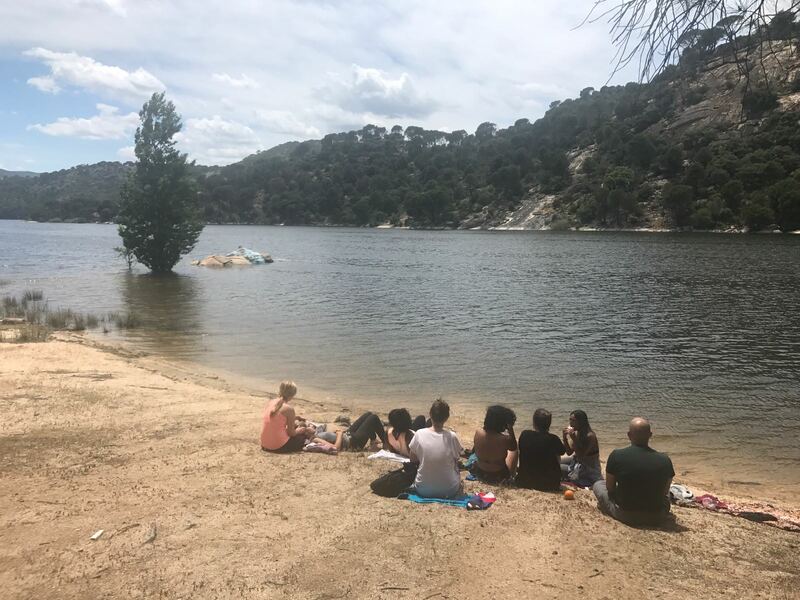 After exploring its secluded coves we were rewarded with a soothing yoga class led by our teachers Alice and Daisy, set against the fitting tranquillity of the calm reservoir. This was followed by a revitalising dip in the chilly waters, and for those with a remaining spring or two in their step, there was an extra scamper up to a final peak overlooking the entire surrounding landscape. After another successful and refreshing romp in the countryside of Madrid, thanks must be given to all involved; to the indispensable guides, to the patient yoga teachers, and of course to every pair of feet that turned out for the occasion. Make sure you’re following MFR social media if you want to get involved in future hikes or similarly enriching happenings in the future.